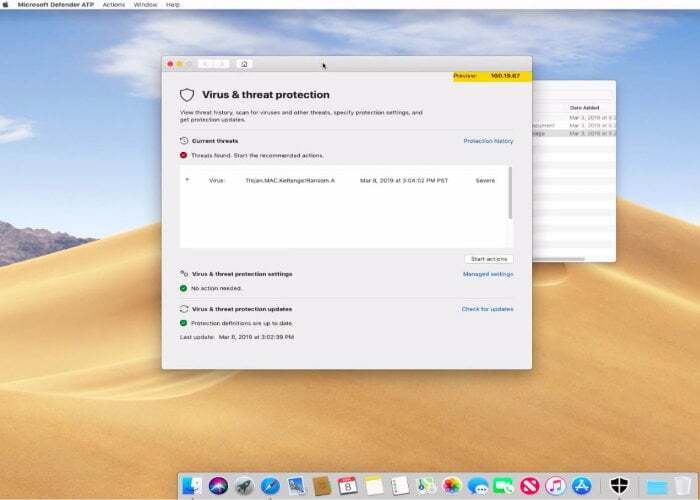 Microsoft today announced announce two additions to its endpoint security platform, confirming that Microsoft Defender Advanced Threat Protection (ATP) will be available for the Mac and is now available in limited preview if you are interested in using it on your Apple system. – Beginning today, we’re extending our endpoint protection platform to support additional operating systems with Microsoft Defender Advanced Threat Protection (ATP) for Mac, available now in limited preview. With this expansion, we’re also renaming the Windows Defender ATP platform to Microsoft Defender ATP. – We’re making Threat and Vulnerability Management (TVM) capabilities available in Microsoft Defender ATP to discover, prioritize, and remediate threats and vulnerabilities, available today in preview.